Hanban/Confucius Institute Headquarters, as a public institution affiliated with the Chinese Ministry of Education, is committed to providing Chinese language and cultural teaching resources and services worldwide, it goes all out in meeting the demands of foreign Chinese learners and contributing to the development of multiculturalism and the building of a harmonious world. 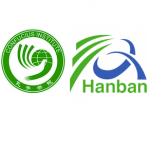 Functions of Hanban include making policies and development plans for promoting Chinese language internationally, supporting Chinese language programs at educational institutions of various types and levels in other countries and drafting international Chinese teaching standards and develop and promote Chinese language teaching materials. In order to support the development of Confucius Institutes, facilitate Chinese language promotion and Chinese cultural transmission in the world, cultivate qualified Chinese language teachers and talented students of Chinese language, Confucius Institute Headquarters/Hanban (hereinafter referred to as Hanban) launches the “Confucius Institute Scholarship” program to provide financial aid for students, scholars and Chinese language teachers worldwide to proceed to a Master’s degree in Teaching Chinese to Speakers of Other Languages (MTCSOL) in Chinese universities (hereinafter referred to as "host institutes"), or study in such majors as Chinese Language and Literature, Chinese History and Chinese Philosophy. The category of scholarship includes Scholarship for Students of Master's Degree in Teaching Chinese to Speakers of Other Languages, Scholarship for One-Academic- Year Students and Scholarship for One-Semester Students. Applicants shall be non-Chinese citizens aged between 16 and 35 (Chinese language teachers shall be aged below 45). 1. Scholarship for Students of Master's Degree in Teaching Chinese to Speakers of Other Languages The scholarship is provided to outstanding students of Confucius Institutes (Classrooms), outstanding performers on HSK exams, winners of the "Chinese Bridge” Chinese Proficiency Competitions for Foreign College Students and for Foreign High School Students, Chinese language teachers worldwide, and outstanding graduates of Chinese language across the world for taking the MTCSOL degree. The scholarship winner shall begin the study in autumn 2012, and the grant will cover two academic years. After finishing the study, students will obtain the graduate diploma and be conferred with the Master’s degree certificate in MTCSOL. Applicants are required to have bachelor degrees or its equivalent with a score of at least 180 on the new HSK (level 5), and make a written commitment stating that he/she will be engaged in Chinese language teaching for at least 5 years after graduation. 2. Scholarship for One-Academic Year Students The scholarship is provided to outstanding students of Confucius Institutes (Classrooms), outstanding performers on HSK, winners of the “Chinese Bridge” Chinese Proficiency Competitions for Foreign College Students and for Foreign High School Students, Chinese language teachers worldwide, and outstanding graduates of Chinese language across the world, or those who intend to become Chinese teachers. The scholarship winner may choose to study majors including Chinese Language and Literature, Chinese History and Chinese Philosophy. The time of entrance is autumn 2012 and the grant term is one academic year. Applicants should complete their study at a Confucius Institute for over 120 hours, or achieve a score of at least 180 on the new HSK (level 3). 3. Scholarship for One-Semester Students The scholarship is provided to outstanding students of Confucius Institutes (Classrooms), outstanding performers on HSK, winners of the “Chinese Bridge” Chinese Proficiency Competitions for Foreign College Students and for Foreign High School Students, Chinese language teachers worldwide, and outstanding students of Chinese language across the world. The scholarship winner may choose to study majors including Chinese Language and Literature, Chinese History and Chinese Philosophy. Scholarship winners are exempt from registration fees, tuition, fees for basic learning materials, accommodation fees on campus, and are provided with a one-off resettlement subsidy, monthly allowance, outpatient medical service and comprehensive insurance for foreign students studying in China. The one-off resettlement subsidy will not be provided to those who have studied in China for more than half a year before being enrolled. 3. Application Statement: stating applicant's Chinese language learning background, study plan and aim in China It shall be written in Chinese and no less than 800 words. 5. Diploma and Transcripts. Applicants shall submit notarized highest education diplomas attained or proof of study. 6. Reference Letter and Letter of Commitment. Students attending Chinese language programs of universities in countries with no Confucius Institutes established shall attach a reference letter signed and issued by the university President. The Master’s Degree Scholarship applicants are required to submit reference letters provided by two professors or associate professors (in Chinese or English). A written commitment stating that the applicant will be engaged in Chinese language teaching for at least 5 years after graduation (written in Chinese and sign with signature). 7. Applications under the age of 18 shall submit relevant legal documents of entrusted legal guardians in China. 8. Winners of the finals of the “Chinese Bridge” Chinese Proficiency Competitions for Foreign College Students and for Foreign High School Students in China shall submit the duplicate of scholarship certificate and reference letter provided by educational and cultural offices (sections) of Chinese embassies (consulates). Winners of preliminary rounds of the “Chinese Bridge” Proficiency Competitions in their countries shall provide award proof and reference letter provided by the organizers. 9. Chinese language teachers shall submit the proof on number of teaching years and weekly teaching hours provided by institutes they work for. 3. Students for a Master’s degree in Teaching Chinese to Speakers of Other Languages (MTCSOL) shall be subject to an annual appraisal organized by the host institutes in the second semester after being enrolled according to the “Annual Appraisal Procedures for Confucius Institute Scholarship”. Only the eligible students are entitled to continue to receive the Scholarships in the following year.